How often have you wished you had more time to sit and read a book? Imagine being able to read an entire book in minutes and retain the information you have read more effectively than if you had read it slowly. Speed reading can improve your comprehension, save time, improve your grades and enable you to make more money. Whether yo are a student looking for a better future or a business owner looking to improve yourself or your business, you should consider speed reading. Not just because I recommend it, but because it has factual evidence to back it up. I’m sure you’ve heard of it, but have you really thought about how speed reading could improve the way you live? Did you know that speed reading could actually improve your reading comprehension just by changing the way you view words? Maybe it could help you save time or even make more money. Save time and make more money?! Now I have your attention, don’t I? We all know reading is a required skill if you are going to accomplish anything in life. 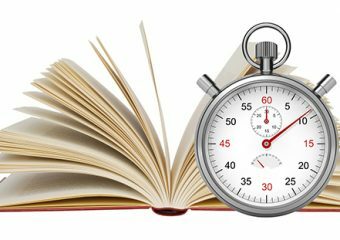 Speed reading is quickly becoming a very sought after skill, especially on today’s fast-paced world! Studies have shown how speed reading helps improve reading comprehension, essentially by looking at whole words instead of the letters that make up the words. If you can read faster and make better grades in school, this could potentially give you a big Jump start toward more career opportunities. The benefits of speed reading continue throughout the rest of your live. Giving you more options for graduate school offers – a better chance of achieving the career of your dreams. The Essence of Speed Reading and How to Dramatically Enhance It. More opportunities for self-improvement opens more doors for a better life. And isn’t that what we all strive for? To better ourselves and our lives? Reach for the stars and never give up on our dreams? If your business is online, try this on for size. Online business moves very quickly, and if you ain’t up for speed, you could get left in the virtual dust. An average web sufer spends roughly 100 seconds on a single webpage before moving on to something else. That’s about one minute, 40 seconds per webpage. Speed reading would allow you to read information even more quickly and retain it more effectively. If your business revolves around information, which most do, speed reading could boost your online business profits through the virtual proofs. I like to look at speed reading as a very valuable self-help tool. I am a firm believer that if you CAN do anything to improve yourself or your life, you SHOULD do it. As human beings in today’s fast-paced world, the more quickly we get things done, the sooner we get to move on to the next project or spend time doing things we enjoy. More productivity leads to more money and more free time to enjoy life. If it’s not already obvious, I strongly recommend speed reading to anyone with a willingness to learn and better themselves and their lives.